Who invented Daylight Savings? The name of the person most often credited with inventing Daylight Savings Time is George Vernon Hudson (1867 - 1946). George Hudson is not only famous as the British-born New Zealand inventor of Daylight Savings Time but also as an astrologer and entomologist (a person who studies insects). When was Daylight Savings Time invented? George Hudson invented Daylight Savings Time in 1895, during the Second US Industrial Revolution / Victorian period of invention (1850 - 1914). The invention of Daylight Savings Time originated in New Zealand and changed the lifestyle of millions of people. Definition of Daylight Savings Time: Daylight Savings Time is defined as the practice of advancing clocks by 1 hour during the lighter months so that evenings have more daylight and mornings have less. DST, aka as British Summer Time, makes better use of daylight and conserves energy. During DST clocks are typically adjusted forward one hour near the start of spring ("Spring Forward") and are adjusted backward in autumn ("Fall Back"). Fact 1: Who invented Daylight Savings? Daylight Savings Time was invented by George Hudson in 1895 during the Second US Industrial Revolution era of inventions (1850 - 1914). 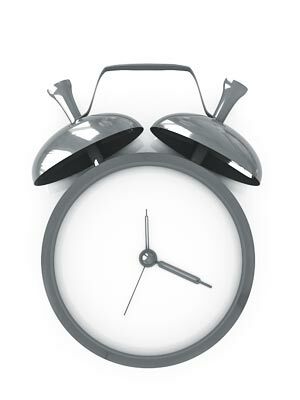 Clocks are changed during the summer months to move an hour of daylight from the morning to the evening. Fact 2: Who invented Daylight Savings? Prior to the invention of Daylight Savings Time in 1895, there was no seasonal time adjustment and valuable daylight hours were lost. Fact 3: Who invented Daylight Savings? Before George Hudson's idea of Daylight Savings Time was accepted the American inventor and statesman Benjamin Franklin had jokingly suggested to the editor of 'The Journal of Paris' in 1784 that Parisians could economize the use of candles by getting people out of bed earlier in the morning, making use of the natural morning light instead. Fact 4: Who invented Daylight Savings? Although Benjamin Franklin was being flippant with his suggestion it was in fact an excellent idea which had once been part of daily lives in ancient civilizations. Fact 5: Who invented Daylight Savings? Who invented Time? Modern time was invented by the ancients. The Ancient Egyptians were the first to document having a 24 hour day and the Ancient Mesopotamians of Babylonia were the first civilization to divide an hour into 60 minutes. The famous Greek mathematician Ptolemy divided the hour into the "second minute" which became known as the second. Fact 6: Who invented Daylight Savings? The ancients first used the movement of the Sun and the stars to mark the passage of time. Oil lamps were used to devise a way of measuring the level in the oil reservoir to measure the passing of time, and candles were used to perform a similar function. The first sundials were invented by the Ancient Egyptians, but they were of no use at night. The ancient Chinese, Greeks and Romans used a Clepsydra or water clock to measure time by the gradual flow of water. Mechanical clocks replaced the old sundials and water clocks but these were not invented until the 1600's. Fact 7: Who invented Daylight Savings? The Ancient Roman time of day, was divided into 24 hours consisting of 12 hours of light and 12 hours of darkness. The length of the sunlight varied with the seasons, meaning that the length of the hour changed - with shorter hours in winter and longer hours in summer. To accommodate for an ancient version of daylight saving time, the Romans used water clocks of different amounts for different months of the year. Fact 8: Who invented Daylight Savings? The mechanical clock was invented by Christiaan Huygens in 1656 but the idea of introducing Daylight Savings Time was not seriously suggested until 1895 when George Hudson presented a paper to the Wellington Philosophical Society of New Zealand advocating seasonal time adjustment. Fact 9: Who invented Daylight Savings? The modern inventor of Daylight Savings Time, George Hudson, was born on 20 April 1867 in London, England, UK, emigrated to New Zealand in 1881, and died on 5 April 1946. Fact 10: Who invented Daylight Savings? The early years of George Hudson were spent in London where he was raised by his father Charles Hudson and his mother Emily Jane Carnel. George Hudson was one of six children, but his mother died when he was just two years old. George Hudson was well educated although he did not undertake higher education at a University. Fact 11: Who invented Daylight Savings? The Hudson family emigrated to to New Zealand in 1881 and by 1883 George Hudson obtained a position working at the post office in Wellington. Fact 12: Who invented Daylight Savings? George Hudson's job involved shift work which allowed him daylight leisure time to collect insects. He was passionate about his hobby and published books providing details of insect species which he illustrated in color. His work led him to be acclaimed as a highly talented entomologist and naturalist. Fact 13: Who invented Daylight Savings? George Hudson was also a noted astronomer and a member of the Wellington Philosophical Society, taking a specific interest in all species of natural life. Fact 14: Who invented Daylight Savings? On October 16, 1895 George Hudson presented a paper to the Wellington Philosophical Society advocating seasonal time adjustment. He proposed a two-hour shift forward in October and a two-hour shift back in March in order to capture more hours of daylight. His idea was greeted with derision by a number of society members and was not progressed any further. Fact 15: Who invented Daylight Savings? By coincidence an English builder called William Willett proposed another form of Daylight Savings Time ten years later in 1905. William Willett suggested setting clocks ahead by 20 minutes on each of the four Sundays in April and back by 20 minutes on each of the four Sundays in September. Fact 16: Who invented Daylight Savings? The British Liberal Party politician Robert Pearce presented a bill to the British parliament in 1908 recommending William Willett's plan, which was met with resistance and never turned into law. Fact 17: Who invented Daylight Savings? The Great War (1914 - 1918) changed everything and the views on Daylight Savings Time changed significantly. The countries involved in the terrible war became increasingly concerned about the conservation of energy (gas, coal and electricity) for the war effort. The adoption of Daylight Savings Time (DST) would allow factories, industries , businesses and households to take advantage of sunlight for an additional hour each day. Fact 18: Who invented Daylight Savings? On April 6, 1916 Germany took pre-emptive action and decreed that Daylight Savings Time would be instituted in Germany as a wartime measure. Austria, Hungary, Holland, Denmark and Sweden all quickly followed suit. Fact 19: Who invented Daylight Savings? On May 8, 1916 Sir Henry Norman aked the government to introduce a Daylight Savings Time Bill which was made into law on May 17, 1916 and the Summer Time Act of 1916 established British Summer Time. Fact 20: Who invented Daylight Savings? In the United States Andrew Peters of Massachusetts had introduced a Daylight Savings Time to the House of Representatives in May 1909, but it failed to make it through committee. The United States entered WW1 in 1917 and President Woodrow Wilson issued Executive Order 2690 on August 23, 1917 to conserve energy and introducing Daylight Savings Time. Fact 19: Who invented Daylight Savings? It took a World War for George Hudson's original idea of Daylight Saving Time to be adopted. He continued to work at the post office until his retirement in 1919. Fact 19: Who invented Daylight Savings? George Hudson died on 5 April 1946 and is primarily remembered for his work as an entomologist. Fact 20 - Impact: How did Daylight Savings Time impact the world? Daylight Saving Time is now in use in over 70 countries worldwide and affects over a billion people every year.